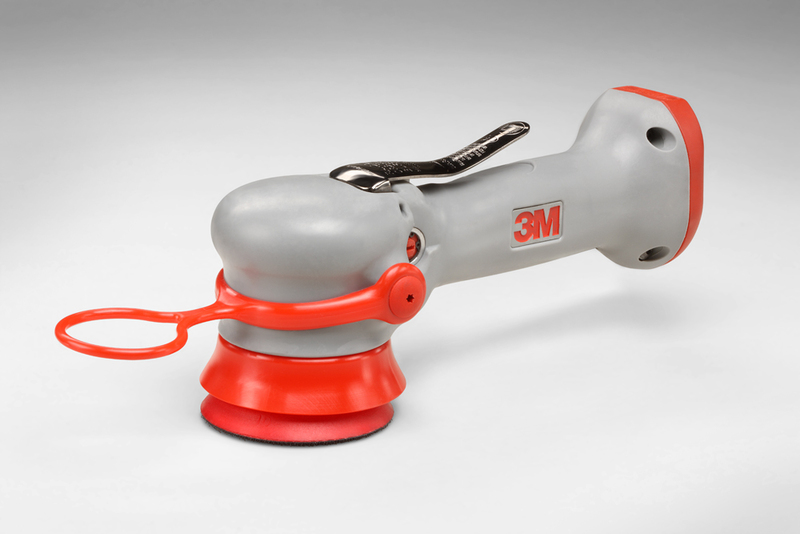 Lightweight pneumatic tools excel at buffing and polishing on clear coat and powder coat;Low-profile lightweight design and quiet operation enhance operator control and comfort;Use with 3M™ Finesse-it™ Polishes and Foam Buffing Pads for a uniform finish on today's paints (polishes and pads sold separately);Available in two handed (PN 28333) or palm (PN 28769) versions;Optimized for 3.25”, 3.5”, and 3.75” foam buff pads 3M™ Buffers PNs 28333 and 28769 are designed for use in automotive manufacturing (AOEM) paint shop applications for buffing or polishing medium-size defects on clear coat, powder coat, acrylic, solid surface, and polyurethane. Both tools feature a powerful yet quiet 0.26 HP precision-balanced air-powered motor and numerous ergonomic features for expert handling and comfort during prolonged use. Jaco Aerospace and Industrial is your one stop resource for Refurbish and Repair for 3M™ Buffer 28333, 3 in Diameter and all of your 3M Products, Tapes, aerospace and industrial needs.